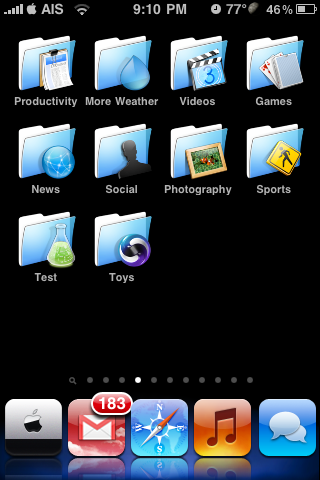 If you want to do more with search on your iPhone, check out Universal Search in Cydia. This app lets you search Google, Wikipedia, Twitter, Flickr, ESPN and a lot more! Best of all, you can do it from the spotlight search. Just type in your search item then tap search. The keyboard will disappear and show scrolling icons for sites you can search. Some, like images, expand to give you more choices. Tapping the icon will take you to it’s webapp using that search term. You can reorder the additional search options in the app’s settings. What Exactly Does Spotlight Search?